He was soft-spoken, quiet and reserved. For a child of 10, his slim frame made him look younger and smaller. He would constantly cover up his board while drawing, not letting anyone see his work but I could see this kid has talent. For a young age his drawings have forms and its wonderfully styled. He seems to love art and its written all over his skin – literally. Once he finished he jumps over to his friends, smiling to look at their works. He has a quiet enthusiasm in him. 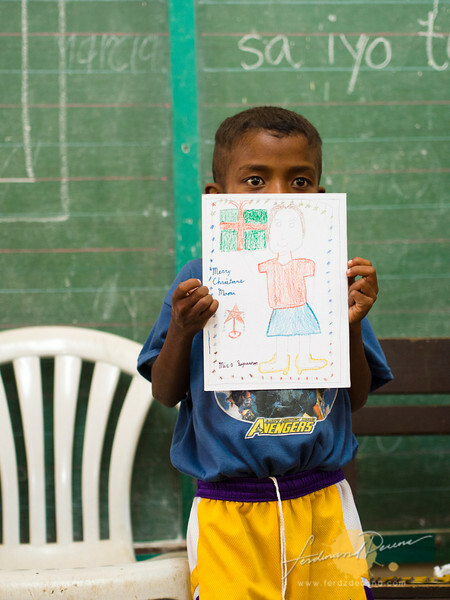 I’ll call him “A”, one of the 15 sponsored child from World Vision at a school we visited in Zambales. 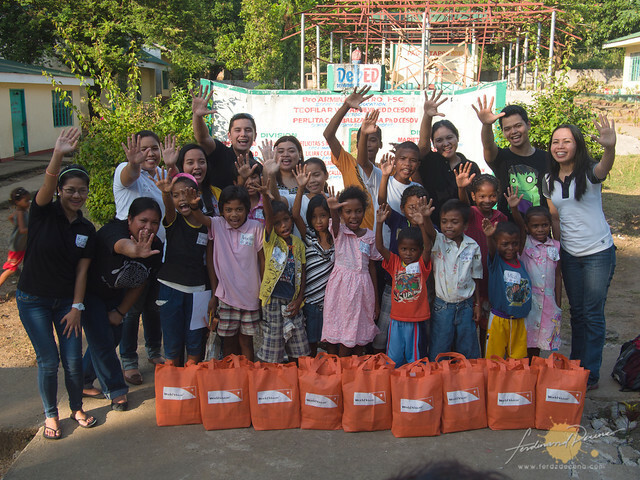 We were there to spend time with the kids before handing them their World Vision Noche Buena Gift packs. 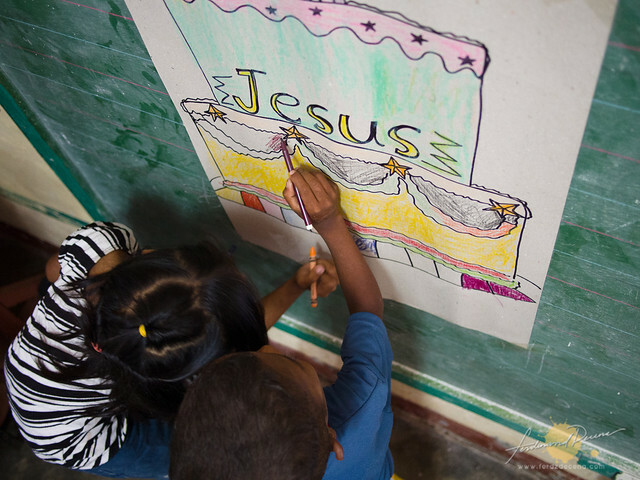 For more than 5 years, I have been sponsoring a child at World Vision Philippines. And every year, sometime during the last quarter of the year, I would get a letter, asking if I would be interested to give a Noche Buena Package to my sponsored child for about P1000 pesos per child. 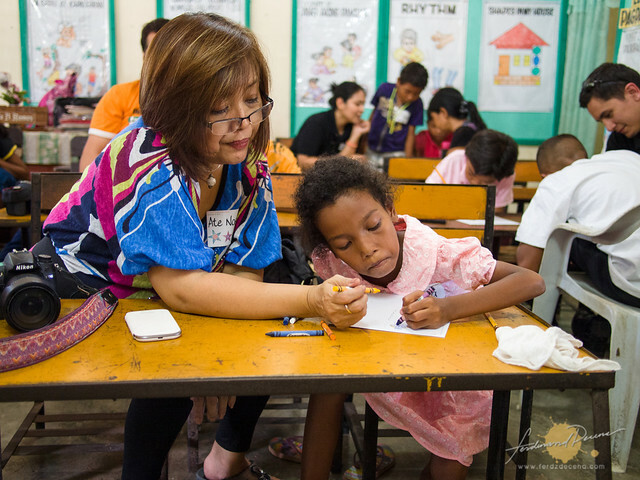 There were also options for additional donations of P2000 or P3000 for other sponsored children. I think there were a couple of years before, when the year was good, that I gave. 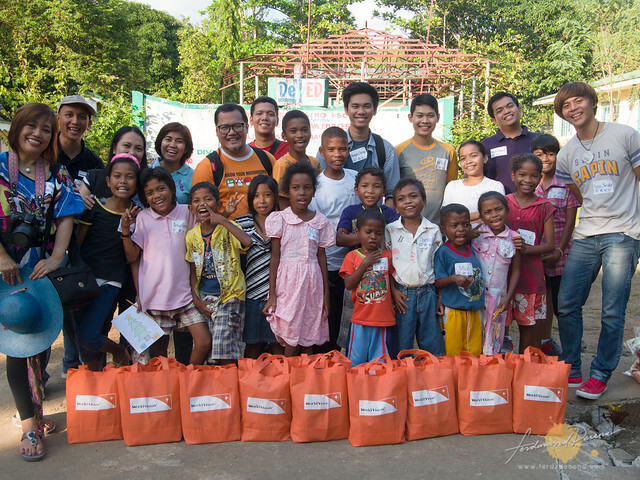 The World Vision Noche Buena Gift Package includes spaghetti ingredients, fruit salad and others that would be enough to prepare a standard and basic Noche Buena meal for Christmas. On my end as a donor, I could only give money and not know what happens after. Like in my Palawan Lakbay Pag-asa with World Vision early this year, this time I was able to see what happens when the people at World Vision gives out these Noche Buena Gifts. A few fellow bloggers and I took a 5-hour ride to Zambales to visit a community there where a group of children would receive the gifts. They were an Aeta community relocated to the area after Mt Pinatubo erupted. 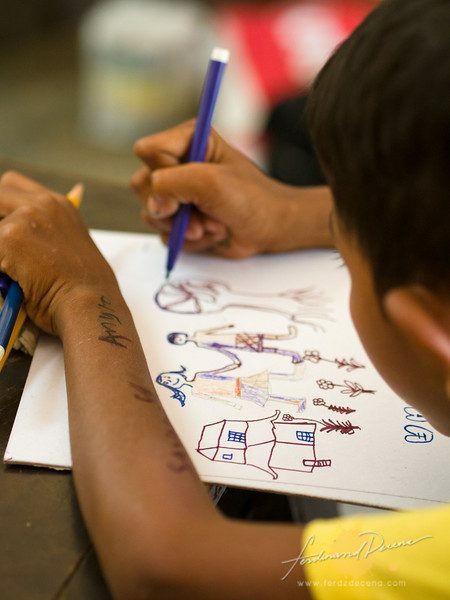 I’m glad to see the community is doing well with World Vision helping out in community development and educating children. While I was honestly feeling a bit off that day, I tried to join in some activities. It was heartwarming to see the children and their potentials. 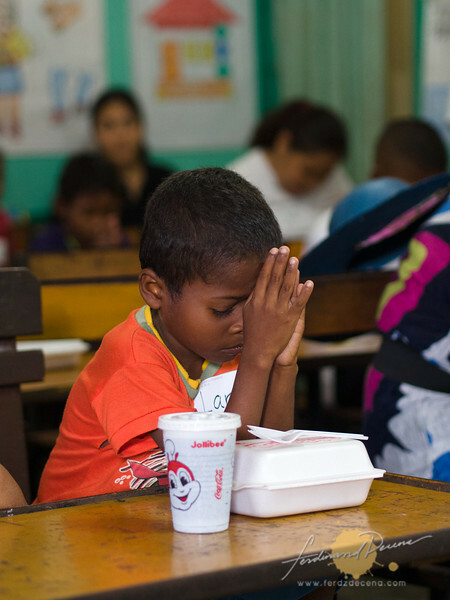 For most of them, it was their first time to eat food from a famous fast food chain like Jollibee. 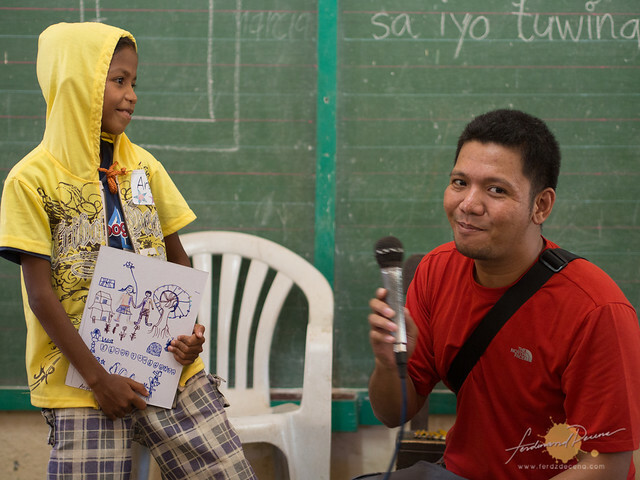 They also had some art education from former World Vision former sponsored child himself and now established artist Lito Circa. The afternoon was short but I hope it made a meaningful memory for the children. We left them with their Noche Buena Gifts and watched them with smiles on their faces as they head for home. Ferdz, you have captured the moment so well! 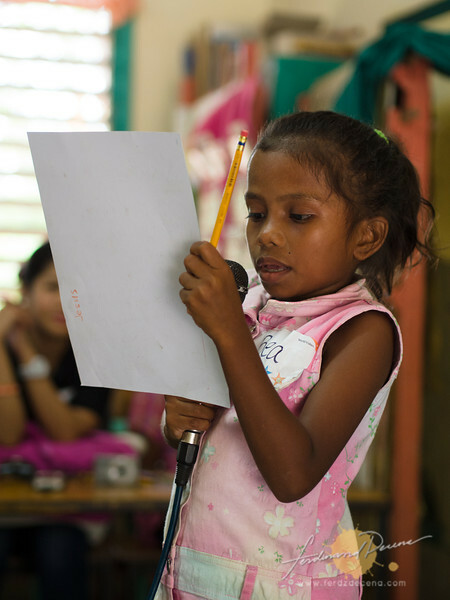 Thank you so much for sharing your talent, time and words to promote World Vision’s work for the children. May God return the favor to you a thousandfold!